I have joined NUI Galway as a postdoctoral researcher in August 2018 at Mechanical Engineering for SFI – Siemens funded project on numerical modelling of NOx formation in gas turbine combustor. My research interest lies in broad areas of experimental and numerical fluid dynamics from low-speed flows to hypersonic flows, combustion and detonation as well as instrumentation and laser-based optical flow diagnostics. I had earlier worked as National Postdoc Fellow at Indian Institute of Sciences Bangalore, India in the area of hypersonic and high temperature gas dynamics, reactive flows (August 2017- August 2018). I have received PhD from Department of Advanced Energy, The University of Tokyo JAPAN (2013 – 2016) in the area of experimental and numerical unsteady hypersonic flows. I had 4.75 years of industrial experience (June 2008 to March 2013) at Renault Nissan Technology and Business Centre India Pvt. Ltd. regarding numerical spray and combustion modelling in IC Engines. 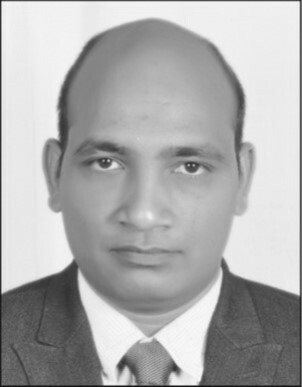 I have completed my Bachelor and Master’s degrees (2003 – 2008) in Aerospace Engineering at Indian Institute of Technology Kanpur, India with research in supersonic flows and high-speed jets.